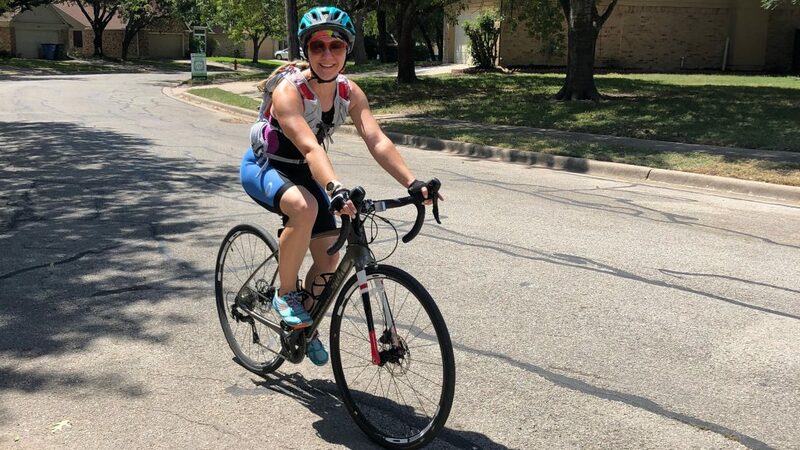 Kelly has been cycling anywhere from 12-40 miles per day for a while, and recently began ramping up her training for a century. A century is, as you might deduce, a hundred mile course. She started out using her mountain bike, but it’s not the right kind of bike for that mileage, and once she started hitting daily rides over 40k, that became very apparent. We searched for a while and eventually found a 2017 DiamondBack Airen 4 Carbon on clearance. The originally $2199 bike arrived at our door for a little over a thousand bucks. There is a decent selection of road bikes fit for endurance riding starting around $600, but we opted to find an older model year on sale that would stay with her a lot longer: this one has a full Shimano 105 groupset, a carbon frame, and disc brakes. It’s good enough for serious riders and should live a long life. Any local bikeshop with a similar bike is charging $2k+. Along with the bike of course, came all sorts of incidentals. A better helmet; cycling shorts. Look Delta pedals for when she’s comfortable using them. Hydration solutions; sensors. We bought a decent road biking helmet from DiamondBack when we ordered the bike, as well as the pedals. We went to Amazon and found a couple pairs of cycling shorts on clearance that fit her well. My mom and dad gave her a tri suit and cycling gloves for an early birthday, which she really wanted and is very excited to try out. I bought her an Osprey Dyna 15 hydration pack for both running and cycling, as an early birthday present as well. We went with the basic Garmin cadence and speed sensors that integrate with the watch, but are holding off on the bike display/GPS due to cost. Who knew cycling could get so expensive? Some bikes we saw online exceed $10k. She’s using the Garmin sensors and her watch to create a custom, data-based training plan and that is helping her push more mileage every day. You don’t need all that data, and people have obviously performed well without it for thousands of years, but we love having it. We’re both training for triathalons, but starting on different portions. I don’t want to shell out for a bike yet, unless the right one comes along, and it is comparably cheap to get into running since I already had most of the gear. Running can get expensive too, but not to the same extent. You don’t need a lot of fancy gear or shoes, but special clothing does help keep you cool in the intense heat, as does a treadmill (which we already had). Overall, training is going well and above is what Kelly is spending her daily workouts doing – cycling an increasing number of miles each day, on her way to a century.